Providing you the best range of underslung crane, monorail crane and explosion proof crane with effective & timely delivery. 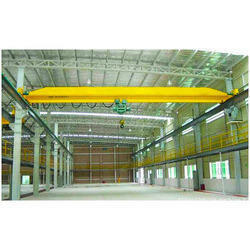 In case where the headroom available for crane installation is limited and there is no provision to allow any other means of supporting the crane except from the roof, Underslung Cranes are the most suited option. 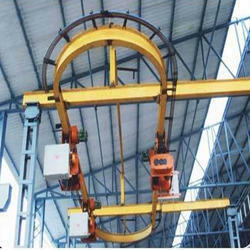 Underslung cranes are usually suitable for the capacity ranging from 250 kg to 10 mt. We can design and supply compact underslung Cranes with low head room hoist offering more height of lift and less dead weight. Economical way of manipulating small to large loads. Bolt together construction for easy installation. Can be relocated and added onto as needed. Capacities from 250lbs to 2 ton are available in enclosed rail. This is most practical when push type trolleys can be utilized. Our company holds vast experience in this domain and is involved in offering Explosion Proof Crane.